HSS Saw Blades are designed for cutting non-ferrous metal and plastic where maximum cutting life between sharpening is required . Ideal for sawing a wide variety of sizes and shapes such as extrusions, tubes, sheets, plates and some bar stock. M-2 HSS blades are recommended for production saws equipped with power-feed controls, clamping fixtures and lubricant spray or mist. 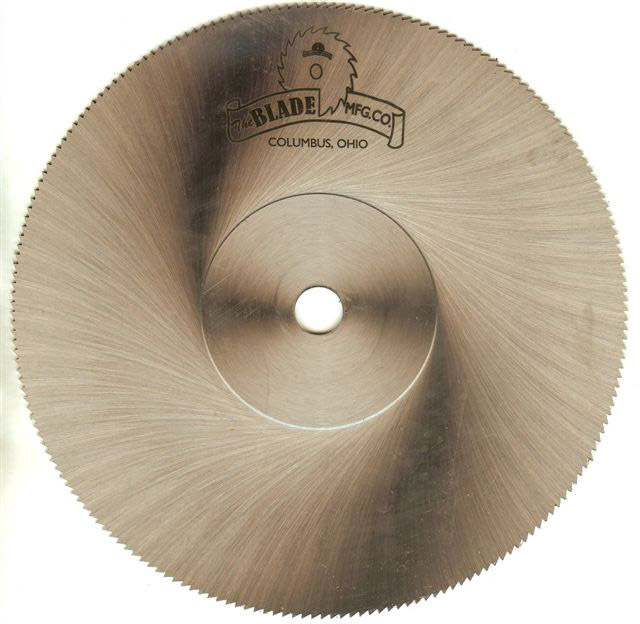 This style of high speed blade operates at a higher RPM when compared to Cold Saw Blades. 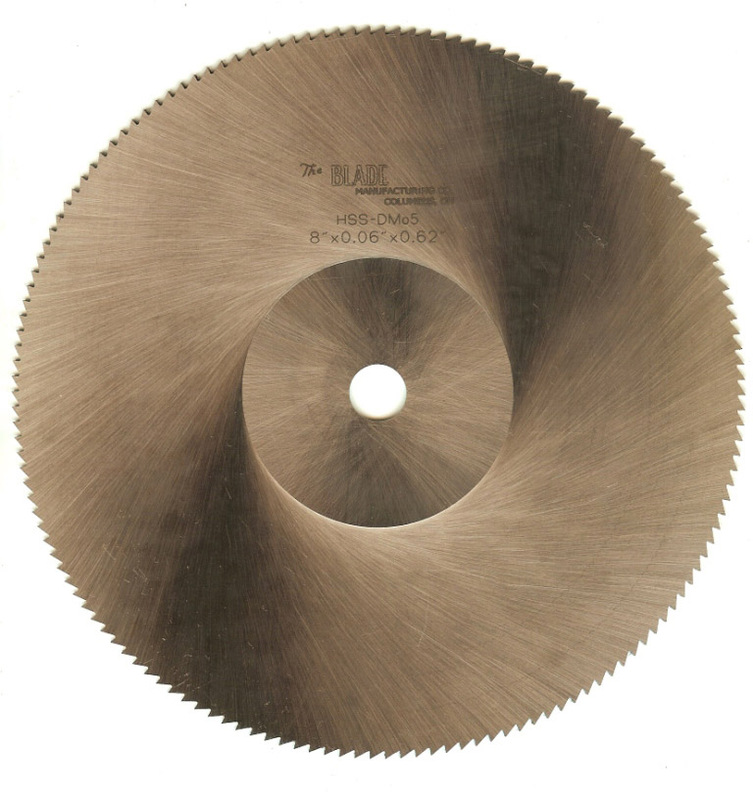 Special Metal Cutting SMC is a semi-high-speed saw blade that is recommended for cutting aluminum or plastic extrusions, profiles, tubes, window and door screen frame etc. SMC blades can withstand severe strains and rougher treatment compared to M-2 HSS which can crack or even break when used improperly. SMC blades can operate at speeds of up to 16,000 SFPM compared to M-2 HSS which should not be operated above 10,000 SFPM. This makes SMC a good choice for portable and bench top miter saws. 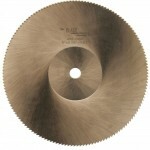 Friction Saws are designed for cutting thin sections of mild steel. Sawing of ferrous metal with this type of blade is done by friction which requires a fine tooth blade, operated at high arbor speed, for use on heavy-duty saws equipped with large motors and clamping fixtures. 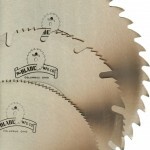 Flat Ground Steel wood cutting saw blades are available in rip, cross cut and combination rip/cross cut styles. 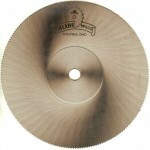 Many times these blades are used for tree trimming and grove pruning. 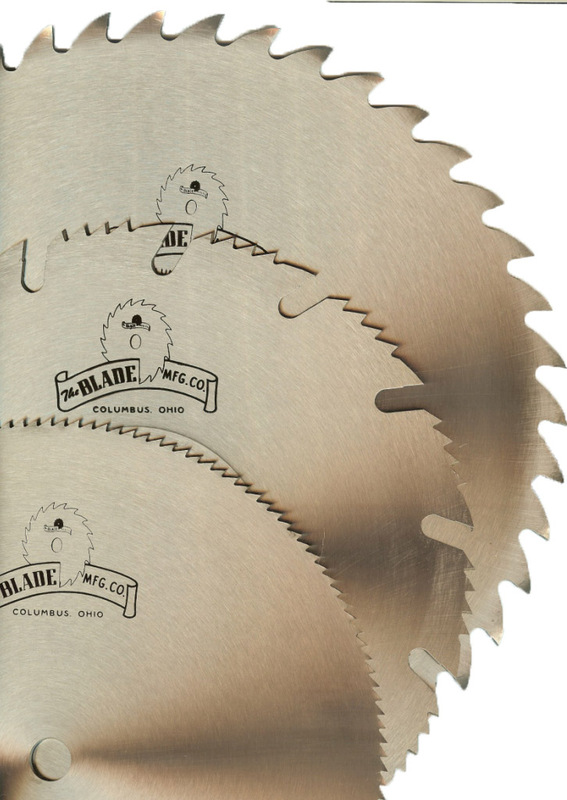 Standard sizes are kept in stock and custom made blades can range from 2” up to 40”. 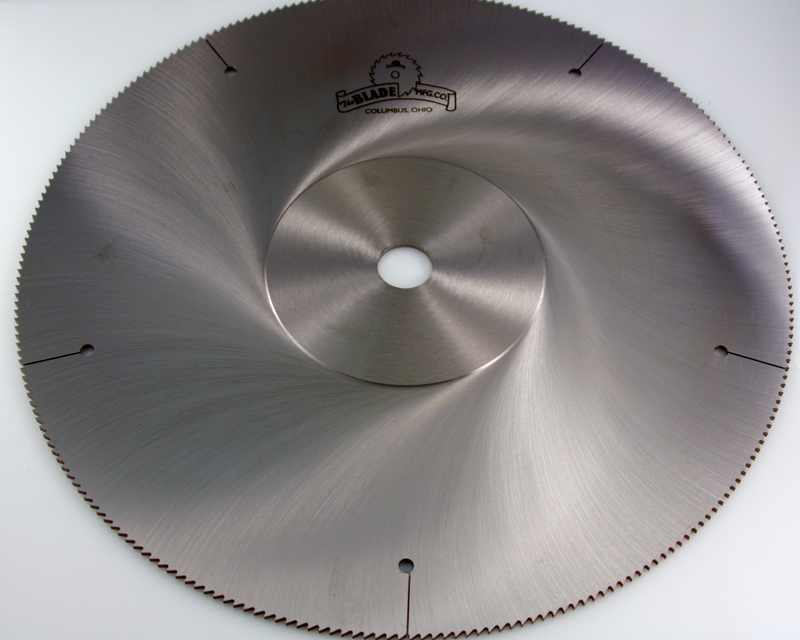 Hollow ground trim saw blades are an excellent choice for thin miter cuts when cut finish is critical. Extra fine ATB teeth provide a chip free cut when sawing thin material.